Dr. Schatzlein was a cardiothoracic surgeon for nearly 15 years in Fort Wayne, Indiana, where he performed the area’s first heart transplant in 1985. He began a career in healthcare administration in 1994, serving in various positions at Lutheran Health in Fort Wayne. He helped take Lutheran Hospital from a standalone hospital to northern Indiana’s largest health system, where he was appointed CEO in 2007. 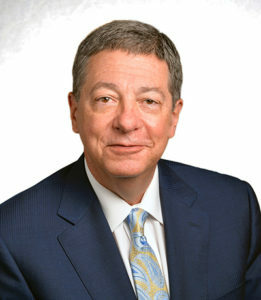 A surgeon-turned hospital administrator, Dr. Schatzlein has a long and distinguished career caring for patients and leading large healthcare systems including Ascension Healthcare, the largest not-for-profit health system in the U.S., where he was senior vice president until he stepped down from the position in 2016 to pursue other interests. Dr. Schatzlein also serves as board chairman of the Center for Medical Interoperability, a nonprofit cooperative health system research and development lab established with grants from the Gary and Mary West Foundation. Dr. Schatzlein earned his bachelor’s and medical degrees from Indiana University and trained in surgery at the Indiana University Medical Center, Indianapolis, and in thoracic surgery at the University of Michigan, Ann Arbor. He has a Master’s in Business Administration from Indiana Wesleyan University, Marion.